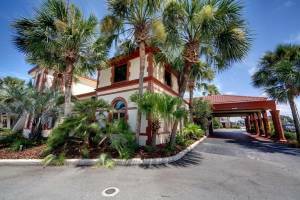 Stay next door to the St. Augustine Outlets and the St. Augustine Premium Outlets at our Comfort Inn & Suites I-95 - Outlet Mall hotel in Saint Augustine, conveniently close to the St. Augustine Historic Area. Our smoke-free hotel in Saint Augustine is near a variety of popular attractions, including Ponte Vedra Beach, Castillo de San Marcos. Start your day off with a great hot breakfast. Your trip to Saint Augustine begins with our free hot breakfast offering everything from eggs, waffles and meat to healthy options like yogurt and fresh fruit. Your guest room comes equipped with a desk, microwave, refrigerator, coffee maker, iron and ironing board, hair dryer, safe and flat-screen TV. With breathtaking beaches, thrilling attractions, historic sites, booming businesses and more, St. Augustine is an unforgettable place. 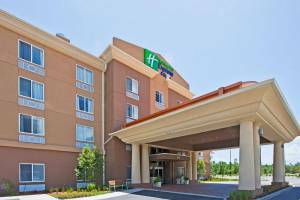 You can easily experience all the "Ancient City" has to offer at the Holiday Inn Express Hotel & Suites Saint Augustine North. 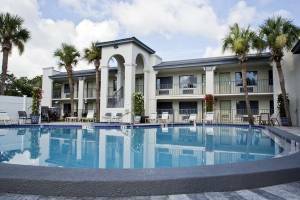 Located off I-95, the hotel's guests in St. Augustine, FL are close to St. Augustine Airport and downtown. Welcome to Jaybird's Inn, where we'll treat you like family and provide you the best living and sleeping experience in St. Augustine. Influenced by the old Spanish design of Downtown Historic St. Augustine. When you arrive on our property, you'll be immersed in the feel of Historic St. Augustine almost immediately. As an active living hotel we offer clean and eco-friendly rooms, and not only encourage, but will help you be active while you enjoy yourself. 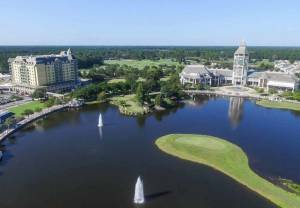 Escape to the quiet elegance of our World Golf Village hotel. When you book with us, you're getting great hotel deals with a variety of standard guest amenities. With a free full hot breakfast served every morning, outdoor swimming pool and Jacuzzi, and free on-site parking, you'll find more ways to enjoy your next visit here. 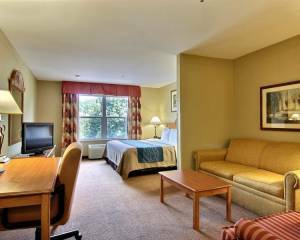 In addition to the added convenience of placing you closer to more popular landmarks, we also offer room accommodations for every need. Whether you're looking for a great deal on a standard double beds room, more spacious king bed, or an upgraded suite, we can find the best room size for every need you may have. 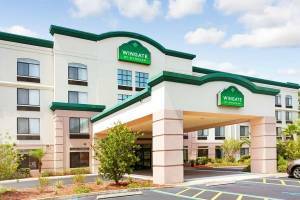 Great weather and beautiful scenery await when you make a reservation at our Wingate by Wyndham St. Augustine hotel. Our location is close to I-95 and is just 15 minutes from the beach, a historic district, and a wax museum. Wake up in time for a free continental breakfast while reading a free copy of USA Today. Connect to our free WiFi or relax in our fitness center, outdoor pool, or Jacuzzi. Our hotel offers oversized guest rooms with well-furnished work areas and accessible and non-smoking accommodations.